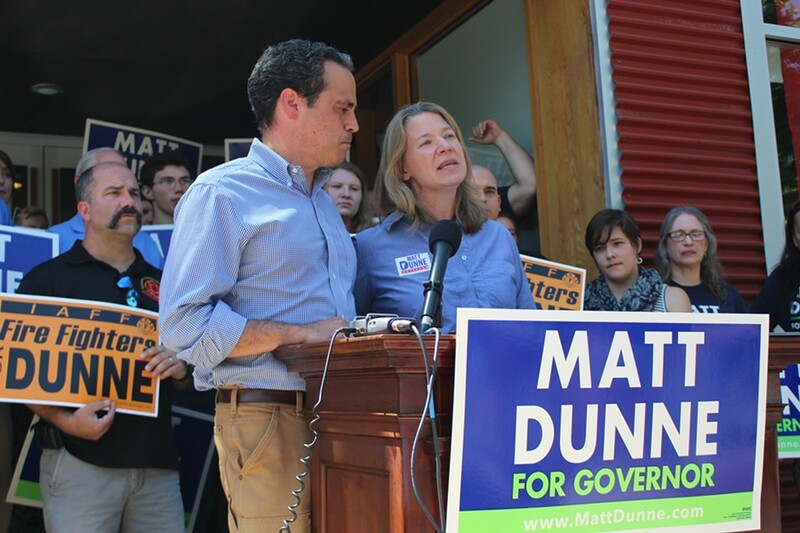 An aide to Democratic gubernatorial candidate Matt Dunne lashed out at rival Sue Minter and at Gov. 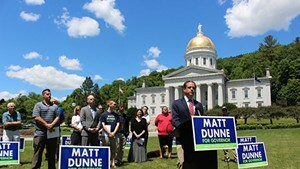 Peter Shumlin on Wednesday, referring to them as part of an “establishment” seeking to derail Dunne’s campaign. 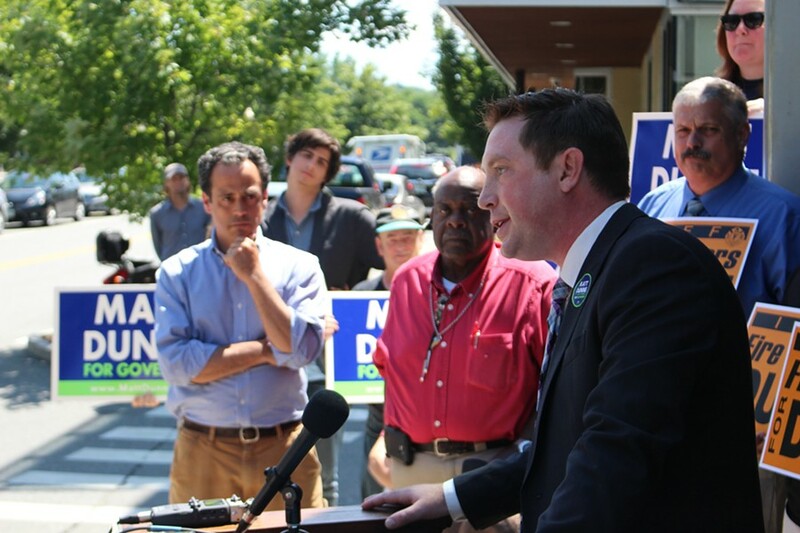 At an emotional press conference in White River Junction, campaign manager Nick Charyk bemoaned what he called “unfounded, unfair and flat-out false” attacks on his boss over the past week. 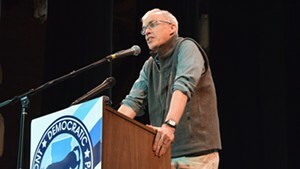 Charyk was referring to the deluge of criticism Dunne has recently faced from political rivals and environmental activists over his position on siting industrial-scale wind projects in Vermont. Last Friday, the Hartland Democrat released a proposal that would empower host communities to reject such projects by town-wide ballot. 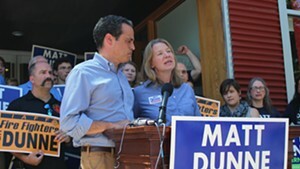 Though Dunne maintained the new plan was simply “a clarification,” Minter called it “an 11th-hour flip on a very important issue.” The move prompted the previously neutral Vermont Conservation Voters to endorse Minter and 350.org founder Bill McKibben to retract his support for Dunne in favor of Minter. Matt Dunne, left, watches campaign manager Nick Charyk speak Wednesday in White River Junction. 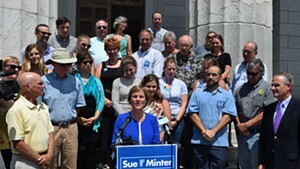 At Wednesday’s press conference, Charyk said the criticism was “not based on the facts or reality” and accused Minter of failing to articulate her own position on renewable siting. 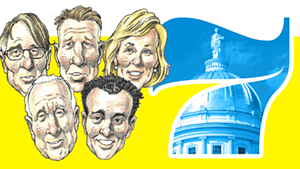 Aides to both Shumlin and Minter did not take kindly to the comments. 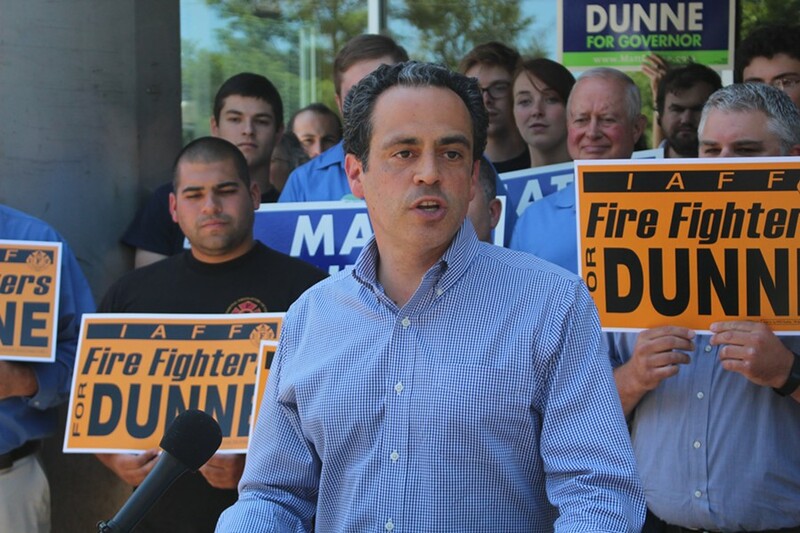 As Charyk made his remarks Wednesday, a Carhartt-clad Dunne looked on from several feet away. He appeared close to tears, as did his wife, Sarah Stewart Taylor, who briefly addressed reporters and Dunne’s supporters. 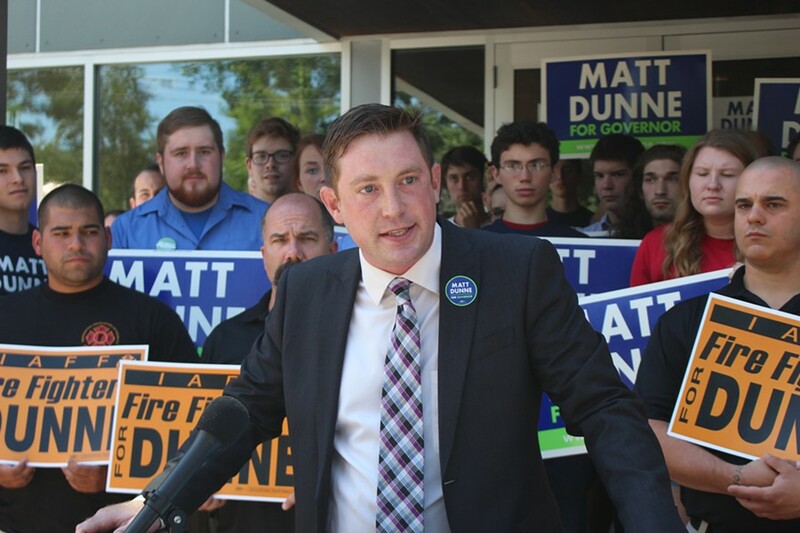 When Dunne himself addressed the group, he steered clear of the attacks that his campaign manager had just made — focusing instead on what he had heard on the campaign trail. 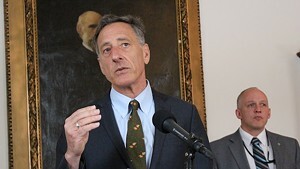 “I heard loud and clear that Vermonters did not feel that they were being listened to, that their ideas were not being acknowledged, that their concerns about things going on in Montpelier were not getting a fair shake,” he said. 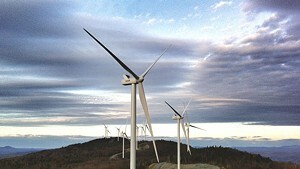 Since Dunne released his new siting plan last Friday, many have speculated that it was designed to appease a third Democrat in the race, industrial-scale wind opponent Peter Galbraith — perhaps in an effort to convince him to drop out. As he did in a Monday interview with Seven Days, Dunne repeatedly refused to say Wednesday whether he or his staff had broached the subject with Galbraith. 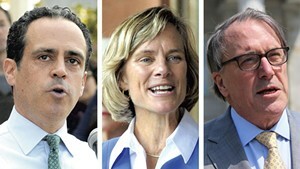 “Did [Galbraith’s] continuing in the race come up?” Vermont Press Bureau reporter Neal Goswami interjected. Reached later in the day, Galbraith provided an elliptical answer to the question.